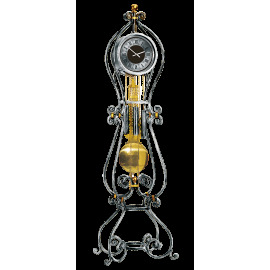 Unique contemporary clock. Our aim was to combine solid wood and mechanics to obtain a light and simple effect. 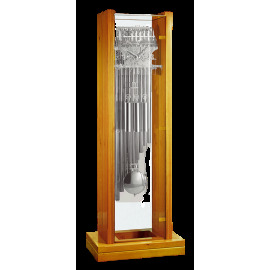 Since we used glass, you can watch thought the clock and see what is behind: that is why this grandfather floor clock can be nice in front of a decorated wall. The price of this article should be at least 7.000 €, but you can have it for 6.700 €. 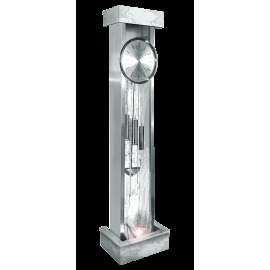 Contemporary and lifystyle pendulum clock. Fully made by solid American Toulipier wood. Just 5 pieces of wood not glued: the 2 bottom ones the 2 side ones and the movement support. Mr. Giovanni Casella did a great glass: 10mm thick back side and top finely sanded borders. So you may take of the top one itself for a deep cleaning. 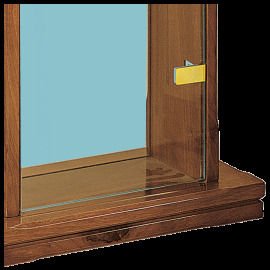 The door is 8mm thick tempered and the 3 hinges have the closing stop for mantaining the door closed. 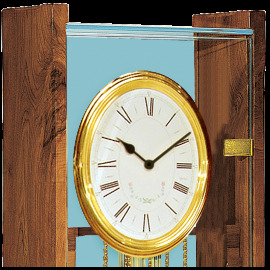 That's an incomparable mix between the glass and the solid wood. 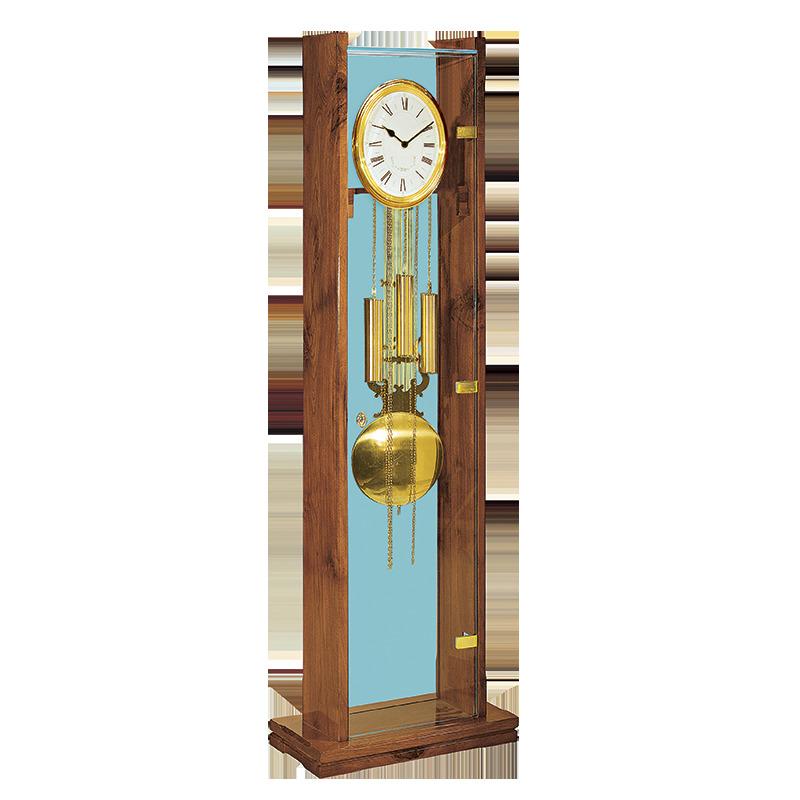 Selection is finest: not nervous and few vens/grains all around woodworked therefore clock is good for a room central location. 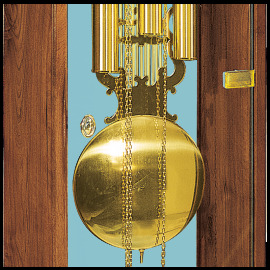 Also the nice movement by Kieninger is nicely visible from the back side. 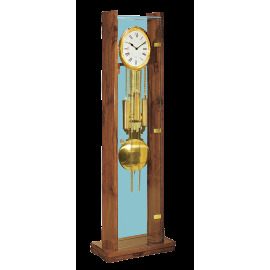 Nice half shiny medium walnut finish made by our Mr. Stefano that uniform the solid wood and make the clock feeling much more contemporary.